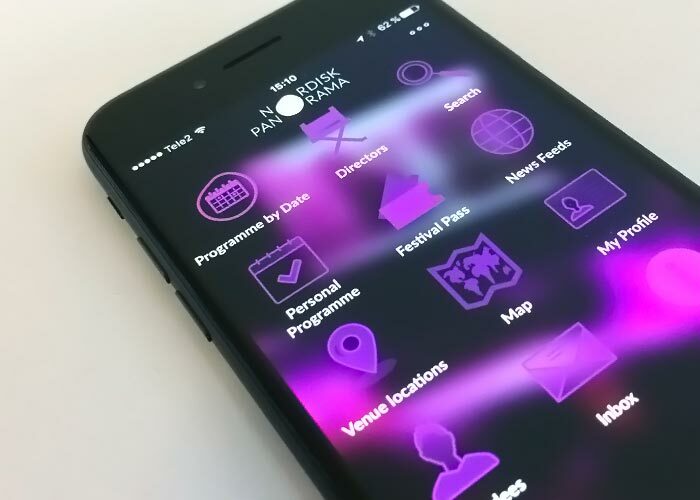 The Nordisk Panorama App gives you access to the full festival programme in your smartphone! Login will be available to guests with accreditations. For more information, visit our Guest Desk at Scandic Triangeln. The Nordisk Panorama App contains the festival programme with an in-App possibility to make your own personalized schedule and for accredited guests we also offer information about the accredited attendees of the festival, with a function to sort them by professional category.